Those bloggers who follow me on my flower blog will know that I am very fond of capturing the components in nature – last year I finally bought a camera with interchangeable lenses purely so that I could indulge in a macro lens. One that captures the tiniest details which I have used mainly for flower macros. So this week’s photo challenge is right up my street. Literally! 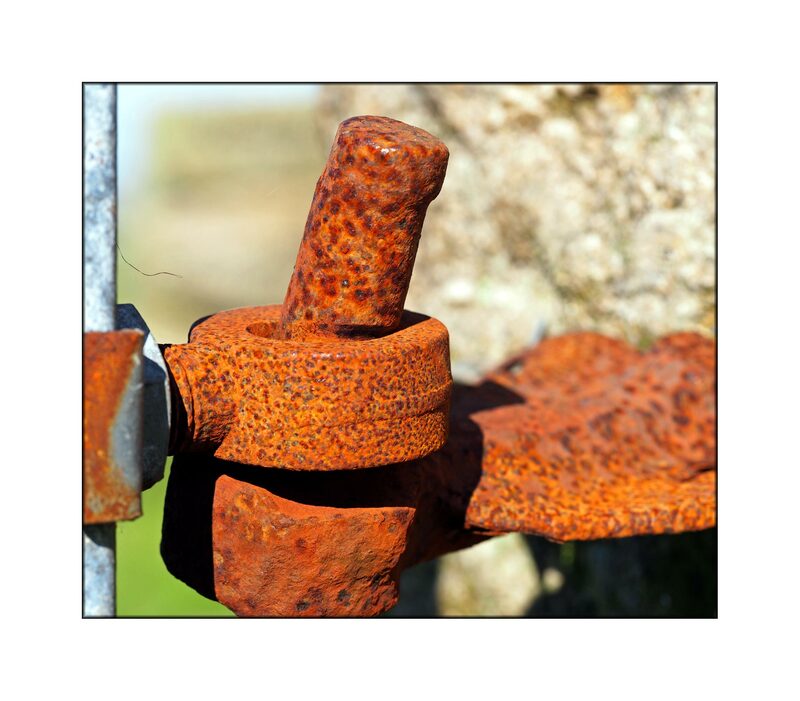 Do you ever really see the characteristics of a rusty item? 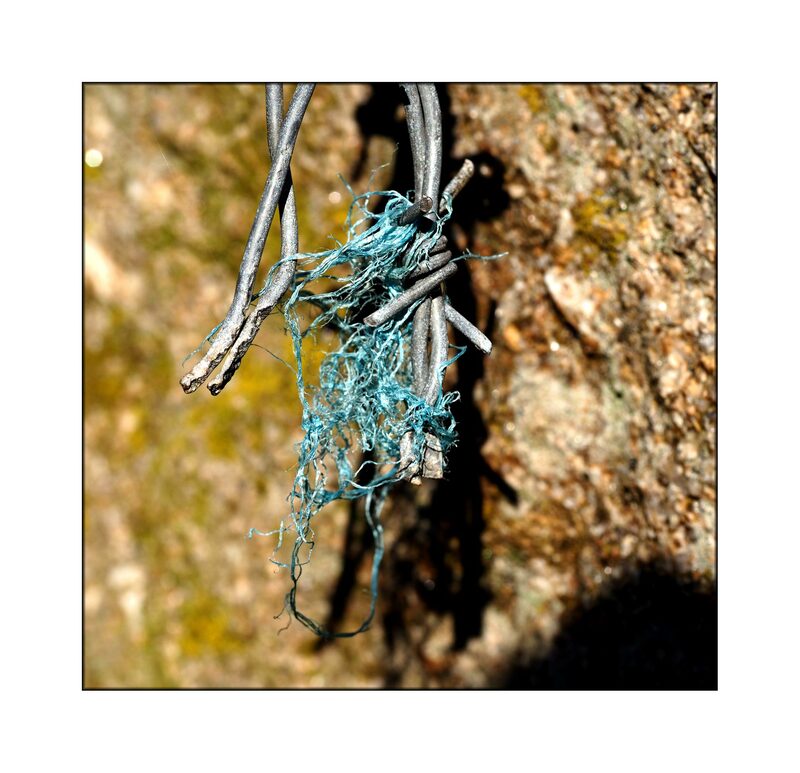 Or the way a fragment of fabric gets entangled in barbed wire? 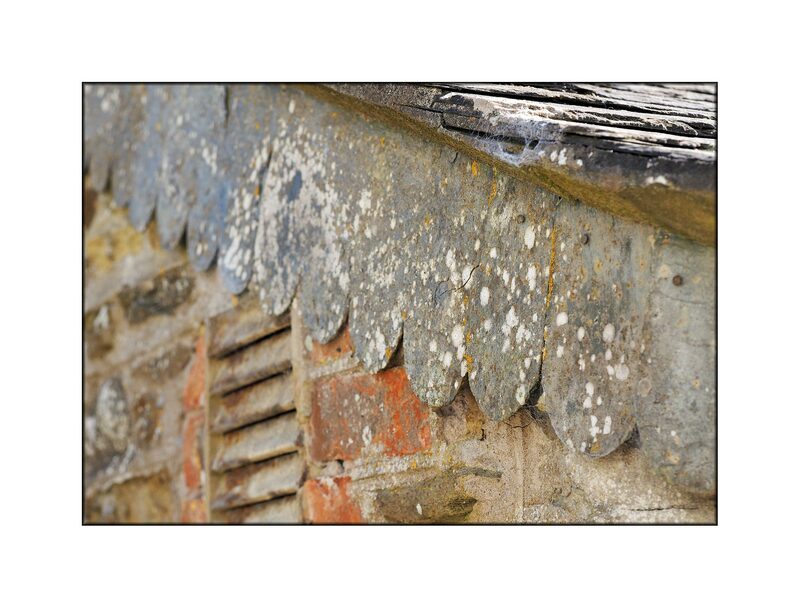 Or how skilfully the craftsman edged his roof? Nature provides the lichens. When you look closely that’s when you notice those little, important, details. 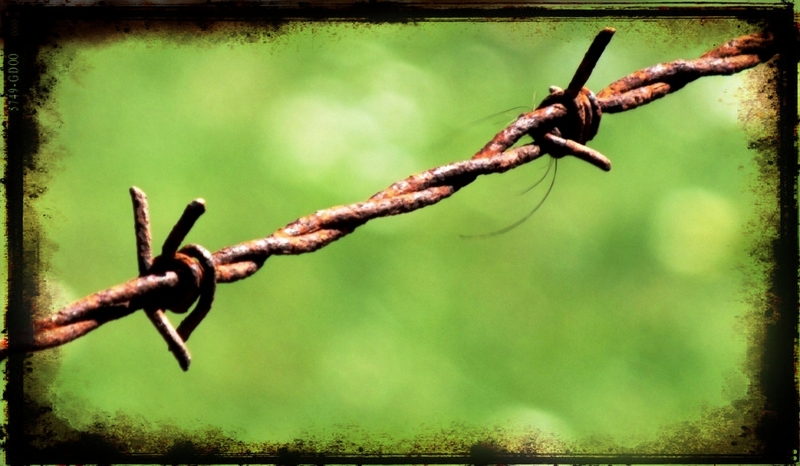 See more ‘boundaries’ at the Weekly Photo Challenge: Boundaries! 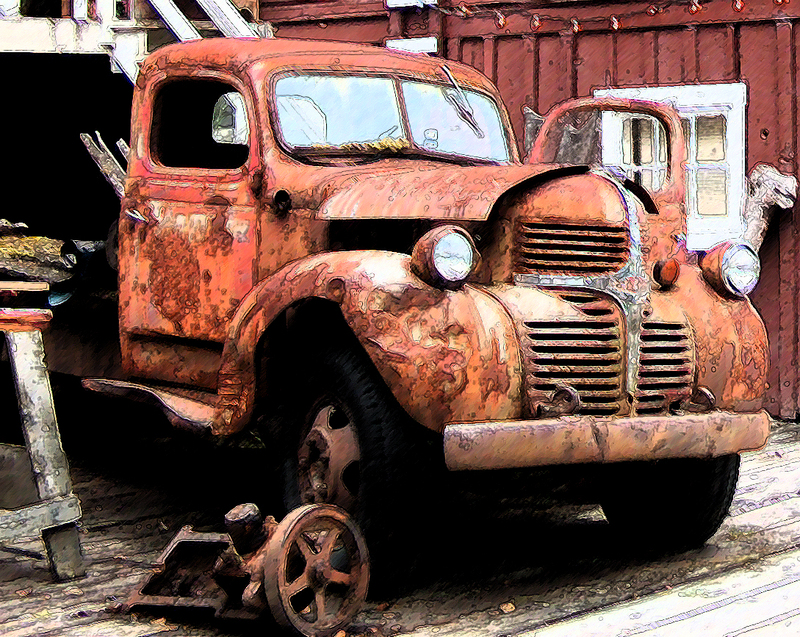 a reddish- or yellowish-brown flaking coating of iron oxide that is formed on iron or steel by oxidation, especially in the presence of moisture. 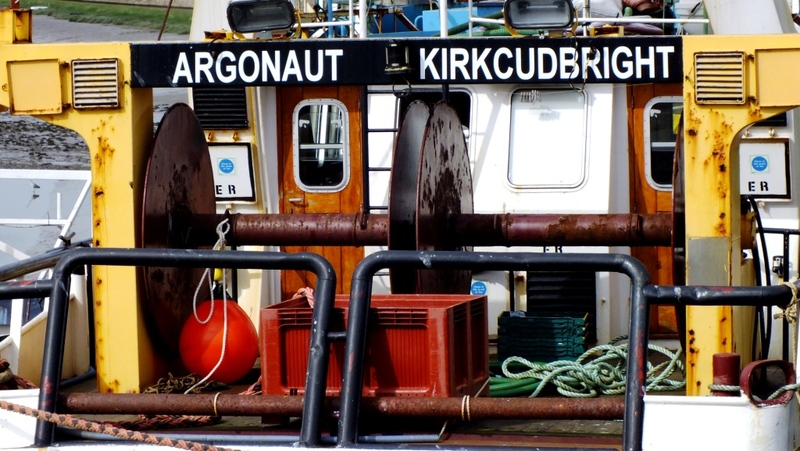 The fishing fleet in Kirkcudbright provided me with plenty of photos for this week’s word challenge, those ‘torture instruments’ are used for dredging scallops – I think! An arty effect – click to enlarge the image for clarity.